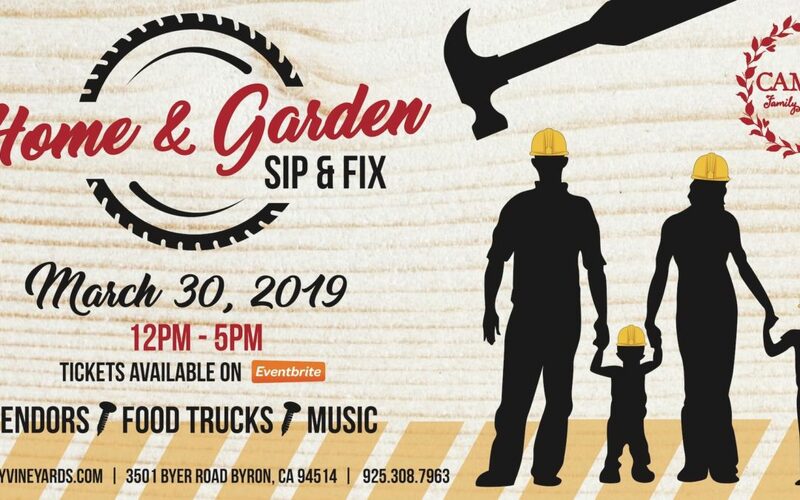 Bring the whole family out to the Premier Home and Garden Sip & Fix at your favorite venue, Campos Family Vineyards! Local vendors will feature a wide range of home and garden decor, home improvement ideas, custom builds, remodels, energy saving ideas, product demos and much more! Come find out how you can turn your house into the home, garden and pool of your dreams! As always, we will feature plenty of cold, craft brews, our award winning wine and your favorite foods for purchase! Live DJ Music provided by Steve Hanson. Soleil Wood Fired Pizza available for purchase! Check back often for updates to the list of activities!